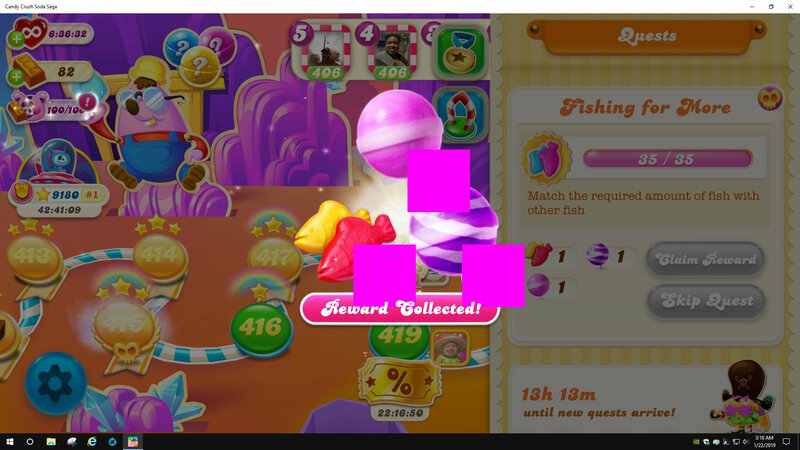 I get large purple/magenta squares that should not be there when claiming earned boosters. The system runs well, no issues. Intel 4690K/8GB. GTX 1060 with latest drivers. All GPU driver versions have the same issue. Screenshot attached. We appreciate the time you've taken to report this as we are always striving to improve the playing experience. It has now been flagged to the studio so hopefully they will get this sorted out soon. For what it's worth, I get the same graphic glitch on Android as well - both Nougat and Oreo (old S6 Edge and new S9+).